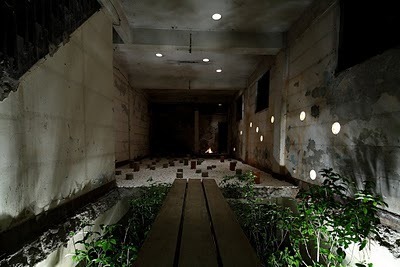 The Ruin Academy is a university research centre in a derelict building in Taipei, Taiwan. The centre is run between two universities, Casagrande Laboratory, Finland and JUT Foundation for Arts and Architecture, Taiwan. The purpose of the space is to allow for hands on research into urban design, architecture, sociology and the environmental arts. The students or ‘constructor gardeners’ use Taipei as an urban case study as well as looking at smaller projects throughout Taiwan. 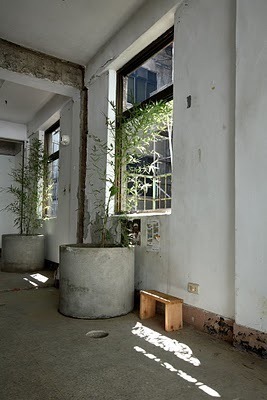 They are exploring the idea of the “Third Generation City – the organic ruin of the industrial city” The structure is an old 5 storey apartment block that has been stripped back to a shell. 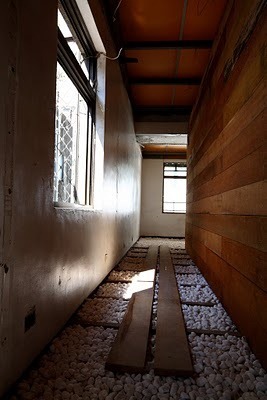 All the internal walls have been removed and the windows taken out to allow bamboo and vegetables to grow and 6 inch holes carved in the ceilings allow rain water in. 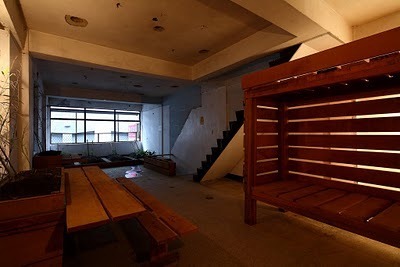 The space is used for workshops, classes and provides informal spaces for students to spend the night. It is an opportunity for students to work on a 1:1 scale and “the academy is a constantly changing mixture of ruin and construction site.” I am fascinated by this idea. As I am currently studying for an Interior Design Masters I can’t help but wonder what I would do given this facility. What would the British equivalence of such a space even be? How could a hands on approach test my concepts and inform my research?